I haven’t posted one of these reviews in some time. When Spectre Miniature’s new BMP-1 arrived today however, I felt like another of these posts was in order. This would be the second military vehicle kit to come out of Spectre, and the first of their larger ones which are planned. You may remember my review of their Humvee from some time ago. 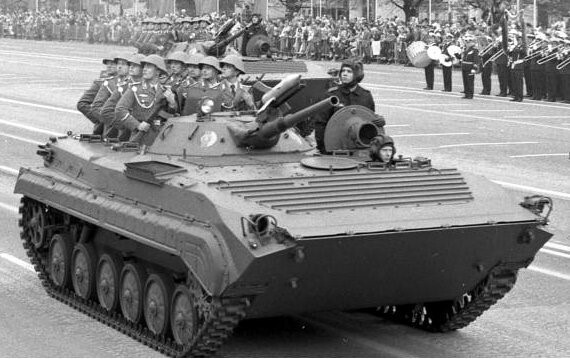 Whilst I was largely positive of it, it did have its share of production issues, so how does the BMP-1 shape up? Well, its all right. Spectre’s chosen a fairly iconic vehicle of the Cold War, suitable for their modern fighter ranges in both the Middle East and Africa, and a foe for lines like their Russian Spetsnaz sets. The vehicle, despite showing its age, is still common in conflicts like the types which Spectre: Operations covers. Being used in its original guise, or through various commercial and field modifications. The base model covers your bog standard BMP-1, being suitable for conflicts anywhere in the past half a century since it entered service (ah, and I doubt many wargamers will nitpick little details like the differences between the various manufacturing plants, etc). Whilst it is your run of the mill BMP-1, there’s plenty of opportunity for modellers to customise the vehicle for modern use. It wouldn’t take much to add on some spaced armour, or replace the turret with a welded on plate and a ZU-23-2 if that’s what you’re into. 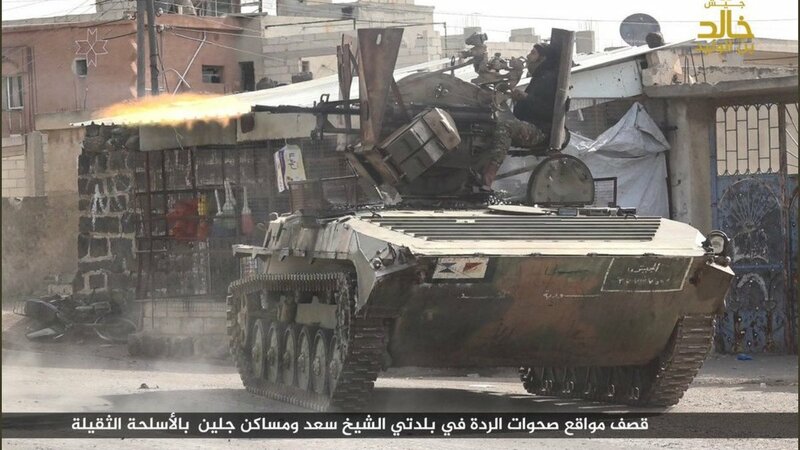 In fact I’m wondering if Spectre will take advantage of their VBIED rules and do a simple conversion in turning one of their kits into one of these a like those used by ISIS in Syria. Given the widespread use of this vehicle it seems like a smart decision for the first of their larger kits in this area, and will surely see a lot of interest in the community. The base model is made up of nineteen parts: a large resin cast hull piece, two individual track assemblies, separate side skirts, and some smaller pieces. Now I’m appreciative of the number of parts here. Its a step up in the complexity of kits like this compared to what’s already available on the market, and this definitely shows in the quality of the vehicle. The tracks for instance are the whole units – road wheels, sprockets and all, with both the upper tracks and return rollers represented as opposed to the other kits I’m aware of on the market. With the individual side skirts available this allows the vehicle to be modelled with them both on or off, as one would see with the real vehicles, which don’t always have them, or where they have been partially damaged (the kit’s skirts also coming in three pieces to represent this). Now as for the main hull, which is where most folk’s attention would be focused on, how things there? Well from a cursory look over, without looking at much reference material, the major parts are all there when it comes to hatches, bolts, etc. Again we’re seeing the advantages of modern kits though, with the hatches being individually modelled so they can be shown either open or closed, and items such as the infrared light being a separate piece, or smaller parts like the headlight cages (which unlike the Humvee’s wing mirrors, which I felt would be easily broken off – and were – the way these are attached doesn’t look like they’ll have that problem). As for the turret, that’s a multi-part piece, with the barrel (resin) fitting into a round indent for assembly. It lacks some of the ribs and handholds I’ve seen on many of the models in service today, though I’ve similarly seen ones without, so those being missing isn’t too much of an issue, and they’re easily added. I would say however, that my earlier thoughts regarding the dimensions of the turret have panned out. With it being a bit too tall compared to the ones I’ve seen (presumably due to them having made the turret first perhaps for their technical line, then used that model as a basis for this turret). Its not massively noticeable, but when compared against say HLBS’ 1/48th scale BMP-1 it does come out noticeably larger (though I doubt many will be mixing the two models in their forces, especially if Spectre go onto make a BMP-2 as well). On this note, I would like to go into how the details are represented specifically. As I’ve said these are above what’s already on the market, with the other kits either simplifying or omitting entirely some of the small (and not so small) details. Little bolts and access panels are fully modelled, as does say each individual vision block have a proper indentation instead of being flat for instance. Though in comparing this to the other kits out there, that this was 3D modelled rather than being traditionally made by hand is a bit noticeable in some of the shapes. Not in a detrimental way of course, rather say the rear roof hatches for the passengers have an angle to them which is just that little bit too steep, and lack the roundness you see on the real vehicles. Or the rear vents above the tracks are flat pieces with small cutouts, rather than the more defined ones you see on the real vehicle. But, are there any Defects? Not many. There’s nothing like the level of casting flaws which I saw with the earlier Humvees. Rather the most I seen was negligible to your average modeller. The inside of the track recesses have a degree of flash which can be removed with a scalpel. As will these areas be covered up entirely by the tracks once assembled. The tracks themselves were a bit bent, and required a soaking in hot water before they could be properly eased into place, though neither are any worse than I’ve seen on similar products by other companies. As for the state of the smaller parts. Again these were fine. I’d have assumed that these would be the area most prone to bubbles and stepping, but overall most of the parts had little to none of either, with the worst of the defects being a mild mould slip on one of the side skirts which could be easily sanded off. The hull itself is largely free of any flaws. The majority of those that there are feature around the lower glacis at the front of the vehicle, presumably where the mould was being poured from (rather than the bottom of the hull as I’ve seen on other kits, though I have seen this area being used on tanks before too). Some clean up work was already done by Spectre prior to shipping by the looks of it, and could be finished off with a bit of sanding and filling to bring it up to snuff. The worst of any casting flaws on the vehicle are on the two tow clamps here, which will require some delicacy in cleaning, though again this is manageable. So overall, as far as casting goals its on par or better with what I’d expect from resin vehicles in this scale, and any faults won’t take very long to resolve. I can’t speak for if this is what other’s have experienced, based on what I found with the Humvees I ordered, however if this is the level of kits Spectre are producing then they’re certainly on the right track to be one of the best manufacturers in the market. One last note when it comes to the vehicle’s quality, and something I brought up when reviewing SASM’s GMV Flyer, is the print lines. The vehicle has used a 3D printed master before being traditionally moulded in resin. These print lines are more visible on some faces than they are others. Where on the smaller parts and tracks they’re invisible, its the hull where they caught my eye. Around the upper front glacis and track wells they’re the most prominent (presumably as the glacis is angled), with some being visible on the roof and sides. When it comes to the tracks that’s fine, as again that area would be covered, however I can’t say the same thing about the front of the the vehicle. Hopefully a wash won’t bring these out too much, and well I already paint my models with a thick enough paint as it is, but these seemed a bit more prominent than I had expected. Again, certainly nowhere near as obvious as on older 3D prints I’ve seen, though isn’t something I’ve come across newer kits either. A bit of filler and sanding may be in order just in case. Things are fairly simple to throw together with this kit and no instructions are provided or well, needed. After cleaning up some of the small issues I found earlier, I started by putting together the tracks. Assembly here was fairly minimal, just building up the front drive sprockets – which come in two halves (the other moulded onto the tracks, overall giving better detail than a solid piece would). Having done that, I set about attaching the tracks to the rest of the model just to give more of a purchase area when fixing on the smaller details to the hull. These have indents on the inside of the road wheels which line up with guides on the hull so as you don’t wind up with one set of tracks further forward than the other, and to keep them at the right level. I decided to leave off the tracks. Given the novelty of being able to see the bare track assemblies on a vehicle in this scale I wasn’t going to waste that opportunity. Instead I set about detailing the hull. This process involved first deciding whether I wanted the hatches to be modelled open or closed. I don’t tend to add too many crew figures to my vehicles, and they didn’t seem appropriate given my plans for the vehicle so I modelled them closed. There’s some handy guides for placing these too where the hinges connect to the hull. With all that done, all that was left was sticking the barrel into the turret and we were done. I did find that the plug for this didn’t quite fit the barrel, so I had to file this down a bit, but otherwise it fit together without too much trouble and the turret sat into the hull without needing any extra fitting. For the first of their “large” kits I feel like Spectre’s knocked this one out of the park. If they can make more vehicles like this then they’ll be onto a winning formula, as I’ll again state how much of an improvement this is over what we were seeing coming out of other manufacturers even a few years ago. With the fit being relatively straight forward, putting together a few of these for a mechanised infantry platoon aught to be fairly hassle free, as could you have some variety if you choose to remove the track guards on one, two or three of them. With the addition of a bit of stowage (which Spectre have come out with some new products for recently, ah, though not as much Soviet era stuff as I’d personally like 🙂 ) that’ll add another layer of detail to the kits. I’d like to see some conversions of this for field modifications like we see in the Middle East, and Spectre’s existing range of weapons would be good fodder for those, plus a bit of plasticard. Personally however, I already have a few of HLBS’ BMP-1s and 2s, so that leaves me at a dilemma. This vehicle is 1/50th, whilst their’s are 1/48th, which whilst they’ll mesh better than the Sloppy Jalopy 1/56th BMP-1 I already have, I try and keep scales consistent at least with individual vehicle types. So when it comes to what I’ll be doing with my own BMP-1 from Spectre, taking into my earlier comments regarding the turret, and wanting to differentiate this from my other BMP-1 (a post on that coming soon…), I’ve decided to turn this into the Russian army’s latest modernisation of the vehicle. 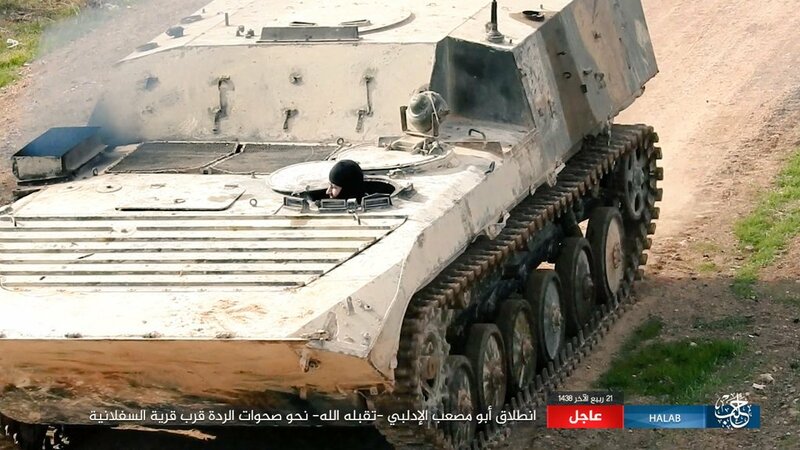 With a 30mm BPPU turret from one of those BTR-80As which I posted about on this blog earlier, this will make for an interest vehicle. I’m not too sure on adding any ERA, but that’s a possibility if I can source a good set in 1/48th or make some myself (something I may have to follow up on later). Great review- thanks for posting it.